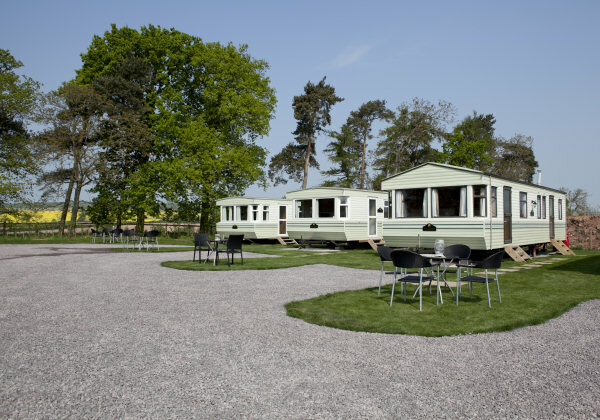 The caravan park was completed in early 2011 and only has 10 mobile homes to keep it small and intimate. Set in its own grounds, there is lots of seating space to enjoy the peacefulness of our countryside, while the children play on the grass or in the wooded areas. A BBQ is also available for your use and a play area for the children. The caravans are all south facing and have wonderful views of the Brown Clee hill. All are fully equipped and sleep 4-6 people. We offer FREE WiFi and a laundry room is available on the caravan park.